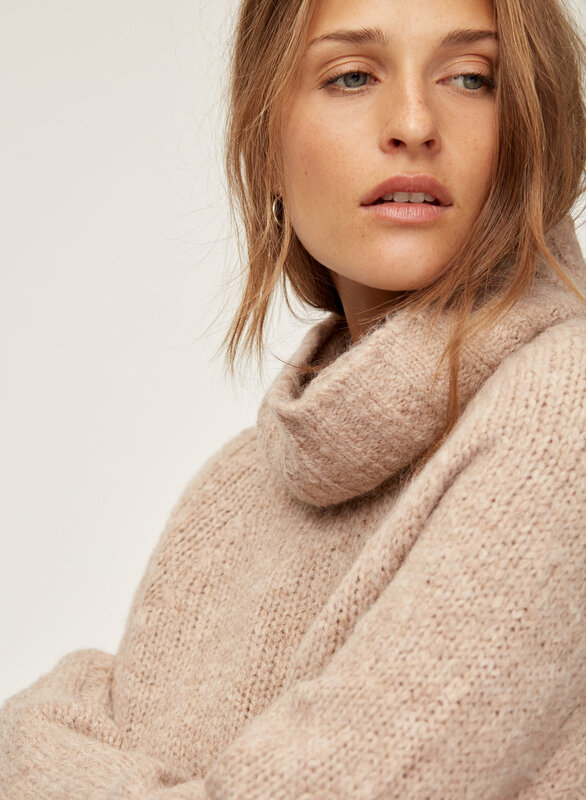 Knit with a blend of alpaca and wool that’s soft, lofty and warm, the Plutarch is beyond plush. The silhouette is intentionally boxy, which only amps up the cozy factor. This sweater is something I do wear often but it is a little itchy. Super soft but the itchy feel makes me like it a little less. Fits really big . Purchased as a Christmas gift for my daughter. She loves it! !Super soft and comfortable. 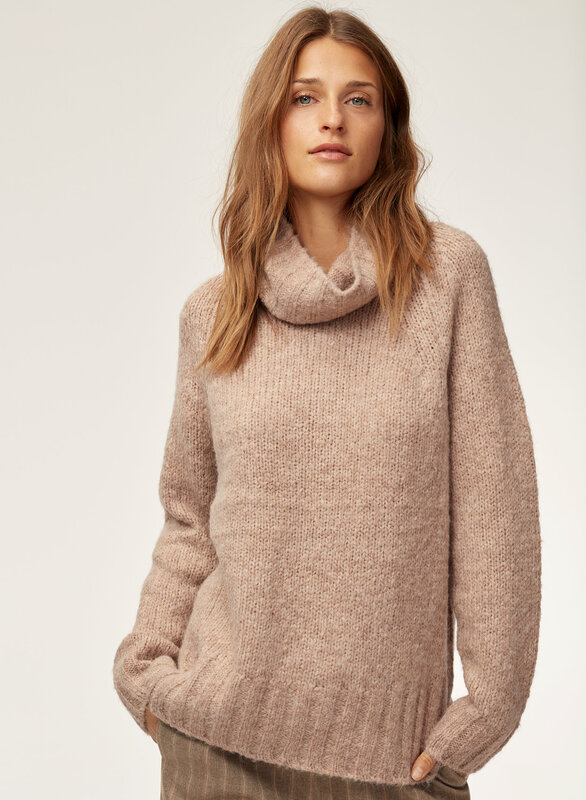 Amazing quality and style.This has become her 'go to' sweater. Great item for all occasions. Very cute but it is a little itchy. One of the best purchases I've made, not only is the quality amazing but its so cozy and warm and the price cannot be beat. Whatever top size you normally are is what size you should order in the sweater as it is slightly larger and will be lose. Although i am a size small i ordered it in a medium to compensate for my long arms, but its one of the nicest sweaters i have. I love this sweater. 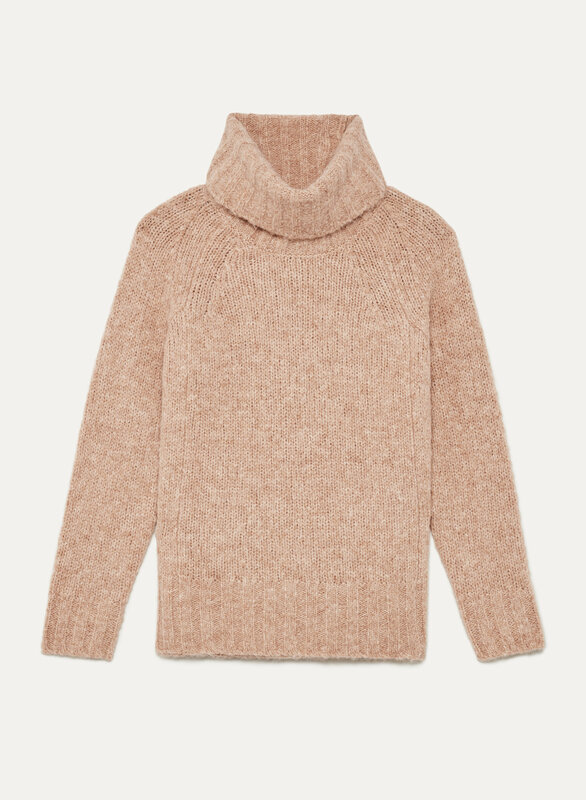 It’s so cozy but without being too hot, I can easily wear it around all day without getting overheated but it’s also good to layer on colder days. Definitely recommend. Very nice sweater, soft and warm! Absolutely love it! Love this sweater so much. It is super warm and very cozy. When I put this on, it gives me a cottage comfort where I know it is super warm and I can be in it all day. I orderes both XS and S to see which fit I liked better and ended up keeping the XS. You can’t go wrong with this staple piece. It’s a must in your wardrobe. Cute with jeans and booties for a casual look or with dress pants for the office. Great sweater, oversized. A little itchy but not too bad. Super soft and warm. Fits perfectly and wonderful to pair with pants and/or skirt.